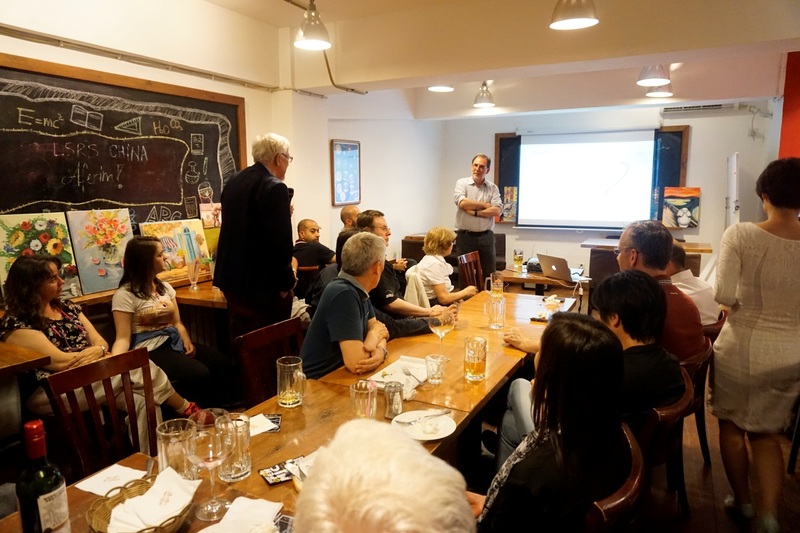 ISSI-BJ successfully organized Understanding Science seminar at Bridge Café on May 25 2016, a coffeehouse in Tsinghua university district Wudaokou. The lecture on “The Evolution of Planets, Habitability and Life” was held by Prof. Tilman Spohn, geophysicist from DLR Institute of Planetary Research of Germany. More than 45 scientists and young students joined his talk. During his talk, Prof. Tilman Spohn explained thousands of new planets orbiting stars other than our own Sun, which have recently been discovered, as well as the evolution of planets, habitability and life. Prof. Tilman Spohn is a geophysicist at DLR Institute of Planetary Research of Germany. After he obtained his Ph.D. from Goethe University in Frankfurt, he served on different high-level Committees as a member of Chair including ISSI. Since 2004, he has been DLR Director Institute of Planetary Research, Berlin of Germany.